MANCHESTER, England (AP) — Jose Mourinho received an instant reward for handing Paul Pogba the captaincy when the World Cup-winning midfielder paved the way for Manchester United’s 2-1 victory over Leicester as the English Premier League season opened on Friday. Having returned from France’s triumph in Russia last month to intense media speculation about his future under United manager Mourinho, the 25-year-old Pogba was named skipper of a team that included debutant Fred. “Pogba was a monster, we thought maximum 60 minutes, he managed (more than) 80,” Mourinho said after taking his captain off late in the game. “Pre-season was very hard and we needed this fantastic spirit by the players to manage this performance and this result. Leicester looked startled by United’s early intensity but slowly began to feel its way into the match, with debutant James Maddison shining. 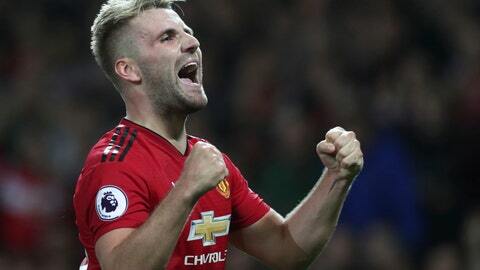 It was the first senior goal for former England and Southampton defender Shaw, on the 23-year-old left-back’s 141st appearance.